Have you recently put your Fishers, IN home on the market? Have you hosted an open house or had some showings with not so good results? We’ve previously covered the importance of home staging for your Fishers, IN home sale. Here are some tips from the staging experts. And if you still need to find a home stager, Houzz has a list of several home stagers in the Fishers, IN area. Don’t take it personally. We know you love the way you set up your living room. That eclectic collection is very much you, but, it’s not right for www. 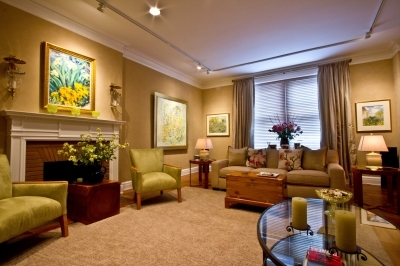 If your home stager suggests some hard changes, don’t take it personally. It doesn’t mean your décor is bad, it just means it’s not right for trying to stage your Fishers, IN home to sell. Toss your stuff, and disconnect emotionally. For many sellers, home staging will be the first time they realize they’re really, actually moving. Family pictures come down, the couch goes into storage, and suddenly this place you called yours is looking less and less like you. Try removing as much of your stuff as possible before the stager comes. By tackling spring cleaning you’ll not only accomplish some necessary decluttering before your move, but you’ll also get used to the idea that this is no longer your home. Picture Perfect. According to the 2014 Profile of Home Buyers and Sellers, 92% of buyers use the Internet to look for homes—meaning the pictures posted alongside your home’s listing are wildly important. But no one wants the buyers to be disappointed with the home’s real-life presentation after seeing photos online. If you’re living in the property, make sure to keep it in tiptop shape. Get your money’s worth. Staging isn’t a last-minute addition before your home officially goes on the market. Stagers work far in advance and can’t always fit in last-minute work. Costs start around $1,250, depending on your square footage, and what—if any—furniture you rent, according to the Real Estate Staging Association. That might seem like a lot of money to spend on a home you’re about to sell, but staging has a high rate of return and you are likely to see that money back at the closing table. If you are starting the process of selling your Fishers, IN home, please contact a Fishers, IN real estate agent and we can point you in the right direction. We are well versed in what it takes to get the job done.